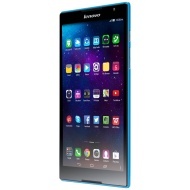 alaTest has collected and analyzed 485 reviews of Lenovo Tab S8. The average rating for this product is 4.3/5, compared to an average rating of 4.5/5 for other products in the same category for all reviews. People really like the screen and price. The usability and portability are also mentioned favorably, but some have doubts about the battery. We analyzed user and expert ratings, product age and more factors. Compared to other products in the same category the Lenovo Tab S8 is awarded an overall alaScore™ of 90/100 = Excellent quality. Starting at only $200 (which converts to about £120, or AU$215), the Lenovo Tab S8 packs a promising list of mid-range specs in a slim and lightweight package. Announced at IFA 2014 in Berlin, the 8-inch tablet is scheduled to hit stores in September. The 8-inch Lenovo tablet will also be available with high-speed 4G LTE capabilities, but more information on availability has yet to be revealed. Check back with CNET when we get our hands on the Lenovo Tab S8 for a more in-depth look.